The Isle Group of Companies was taking their first venture into digital marketing and contacted us to help them reach a broader market and to increase bookings. At the time, their marketing depended on reaching clients at an annual home and garden trade show. They would book 80% of the year’s work at this event, with most of the remaining 20% booked via word of mouth. The Isle Group began operations in 2010 as a father and his two sons, and provided three distinct aspects of landscaping that had been operating as separate businesses. Each had its own website, which caused some confusion for clients. Formerly called Green Isle Landscaping, the business also included Red Isle Landscaping and Blue Isle Landscaping with each component of the company carrying its own area of expertise. Green specialized in design, landscaping, plantings, artificial turf and finishing. Red specialized in construction such as decks, fences, tree forts and pergolas. Blue specialized in water features such as ponds, waterfalls and decorative stonework. We suggested the three branches of the company team up and market themselves as a one-stop shop. We helped them build a new website, create a logo and rebrand as the Isle Group. These were steps that needed to be established before a digital marketing campaign could begin. A year’s worth of advertising was planned out, which is not the norm in this industry, but they wanted to target ads more aggressively in the summer and tone them down in the winter. Beginning in March 2017, we used our Hyper technology to draw geofences around the areas of Edmonton that the Isle Group wanted to target. These included older, upscale communities and brand-new communities such as the southeast neighbourhoods near the Anthony Henday, as well as Ellerslie and St. Albert. The campaign ran until December 31. We used Google AdWords during the same time period, aiming to reach the same customers. For two weeks in March and April we served ads about an upcoming home and garden show that traditionally accounted for 80% of the Isle Group’s annual revenue. A Facebook campaign was added for this tradeshow and was so successful they kept it running for the rest of the 10-month campaign. 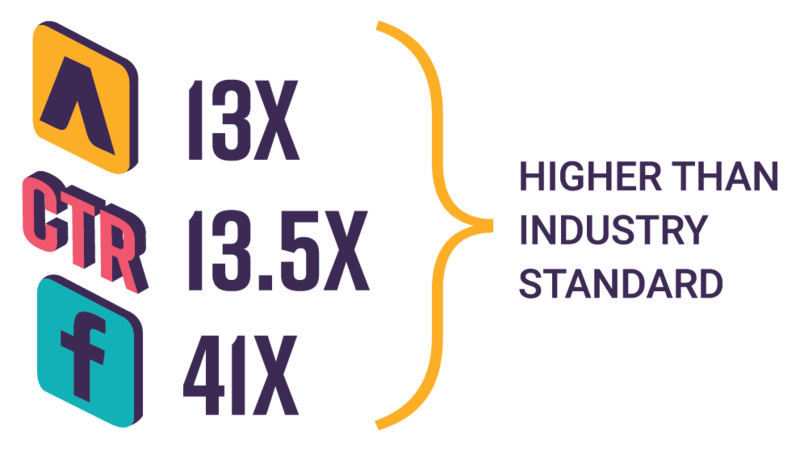 All mediums used had a higher CTR than the industry standard. AdWords was 13x higher, Facebook was 41x higher and the overall CTR was 13.5x higher. 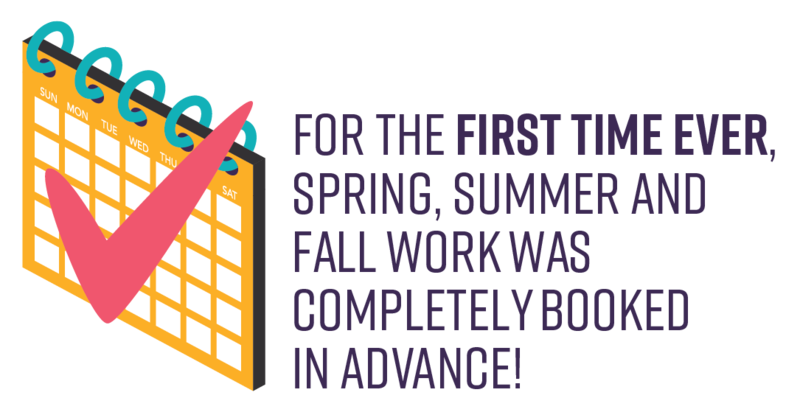 For the first time ever, Isle Group booked all spring, summer and fall work completely in advance! Traditionally, the home and garden show had given the Isle Group 80% of their business, with the remaining 20% of business coming via word of mouth. That changed with a rebrand and a new website and Facebook page. The CTR generated on Facebook was off the charts and by August the new website led to the Isle Group being completely booked for the fall. The home and garden show had never led to a fully booked schedule. The original plan had been to reduce the marketing budget in winter and put a hold on Hyper until spring, however, the results led the Isle Group to actually increase their marketing budget significantly and they headed into the spring of 2018 with work already booked. This had never happened before as all of their spring and summer bookings came from the yearly home and garden show. The campaign was a success, the Isle Group received multiple leads and continue to use LoKnow as their digital marketing company.